This Vegan Mexican Street Corn is a hit with everyone, whether consuming a plant-based diet or not. and some HEAT from Mexican spices. 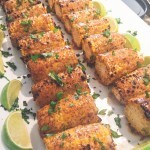 It is easy to prepare and beautiful to serve garnished with cilantro and lime wedges. Not only that, it has 154 calories for each ear of corn as compared to a non-vegan Mexican Street corn that has 225 calories or almost 50% more. To watch a quick demonstration of the preparation of the recipe, watch this short video. And here is the simple recipe. If you try the recipe, I’d love to hear how you like it. Please share your thoughts in the comments. And if you enjoy trying new plant-based recipes be sure to subscribe to my YouTube channel and like my Beantown Kitchen Facebook page to receive my newest additions. This corn is a hit with everyone, whether consuming a plant-based diet or not. 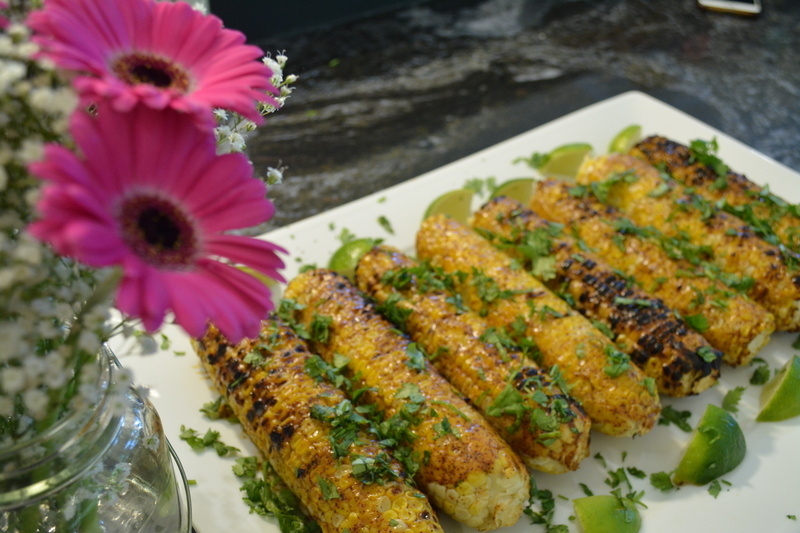 It is creamy and highly flavorful with sweet notes from the corn and agave, balanced with tangy lime flavors and some heat from Mexican spices. Grill the corn until slightly charred in a few places. In a small bowl, stir to combine the remaining ingredients except the garnish. Pour into a wide shallow dish, such as a pie plate. Roll each grilled ear of corn in the mixture to cover and then place on a baking tray or serving plate suitable for the oven. Bake for 8-12 minutes until warmed. Garnish with cilantro and serve with lime wedges.